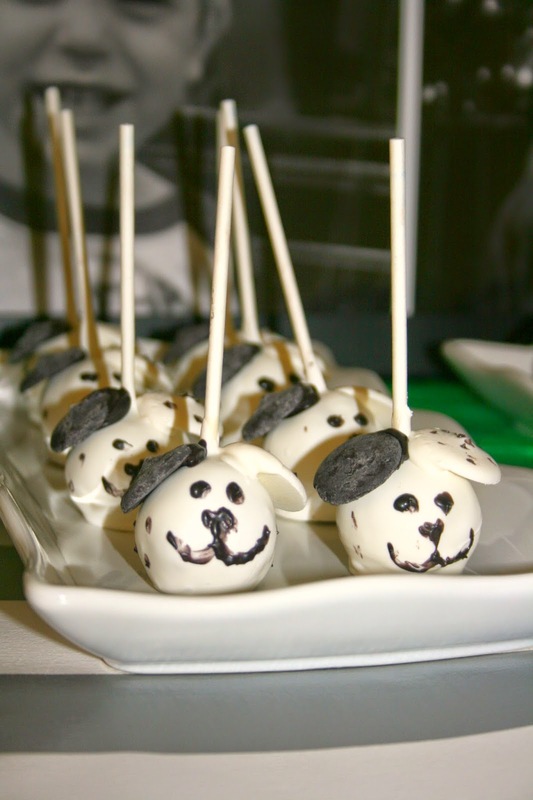 In case you haven't noticed, my little guy loves puppies! 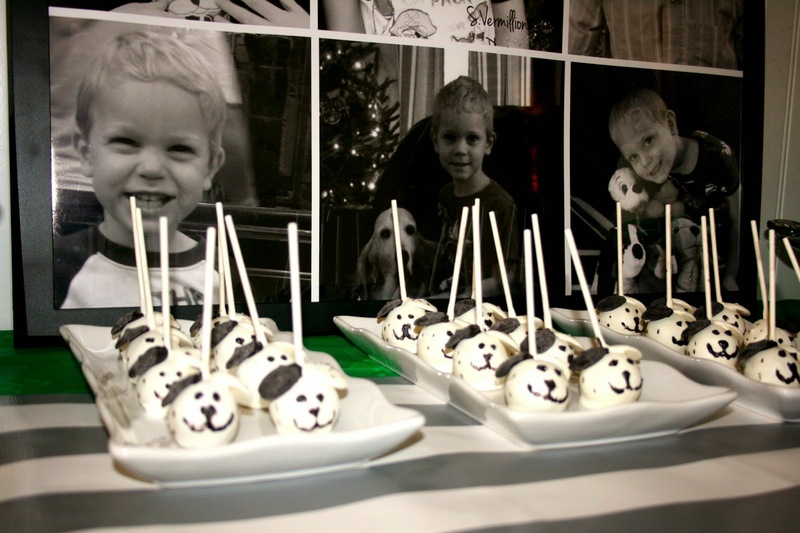 So, when it came time to planning his 6th birthday party, of course we choose puppies. 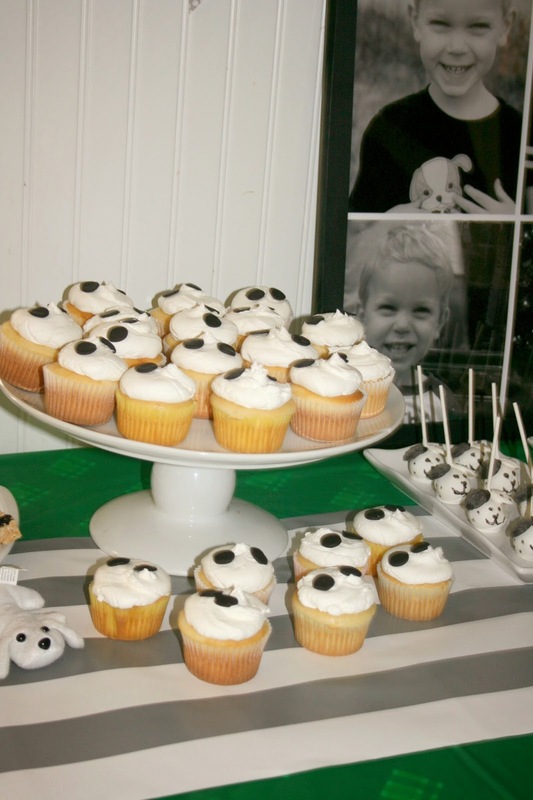 This would be the third puppy themed party in 6 years, so I wanted something different. 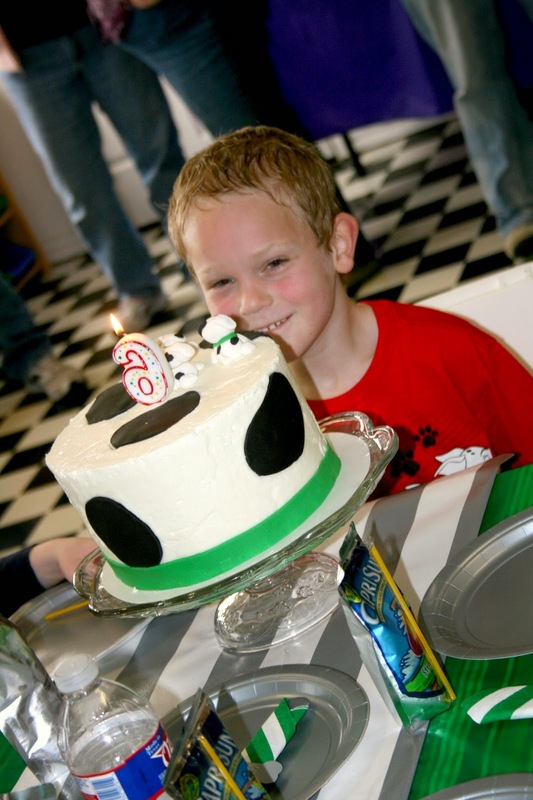 He was going to be 6 and I didn't want it cutesy and babyish. 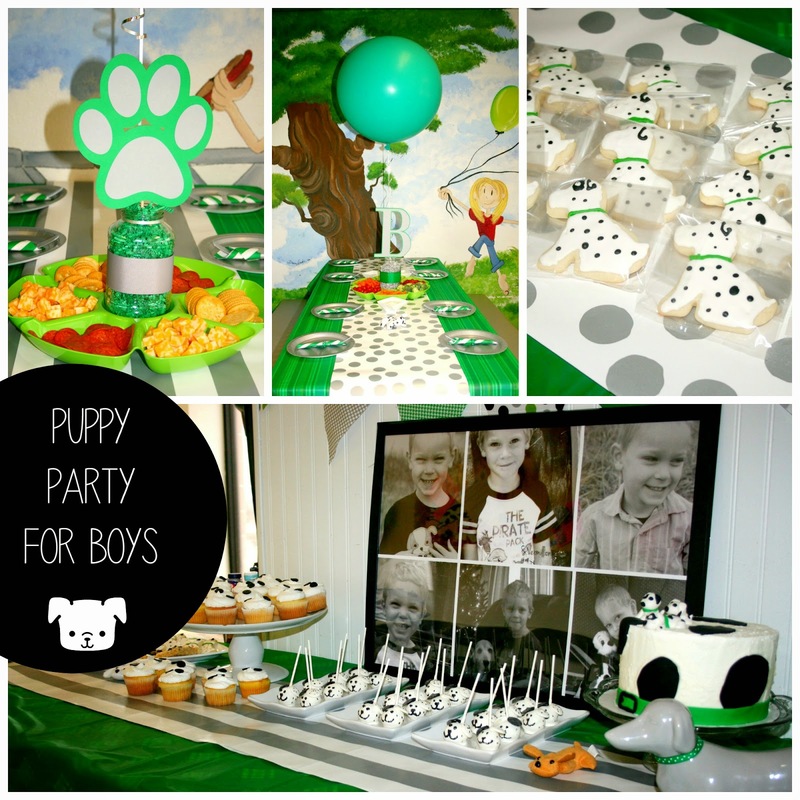 I wanted a more modern take on the typical puppy themed birthday party. 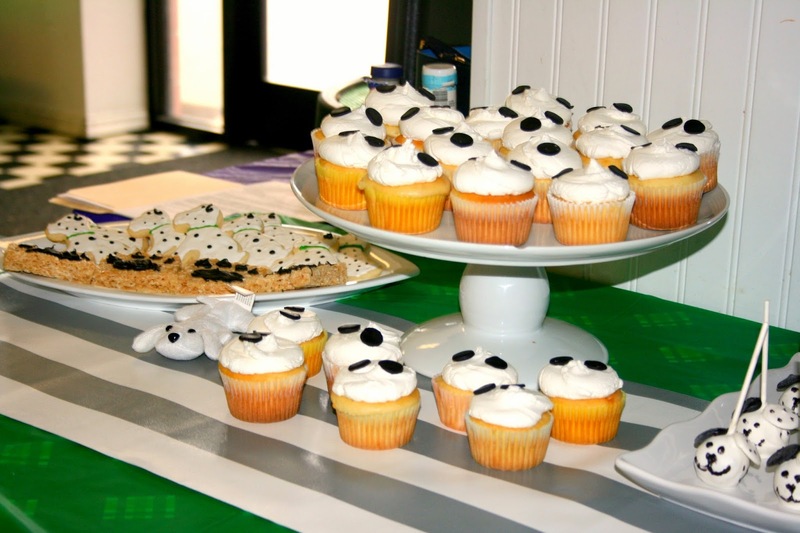 I chose greens, whites, and blacks to keep it fresh, updated, and more sophisticated. 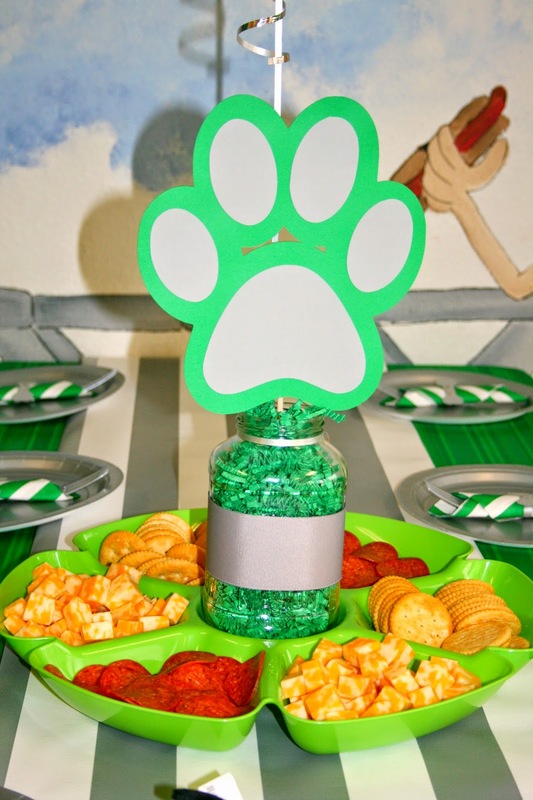 Well, as sophisticated as you can get with 15 six year olds running around. 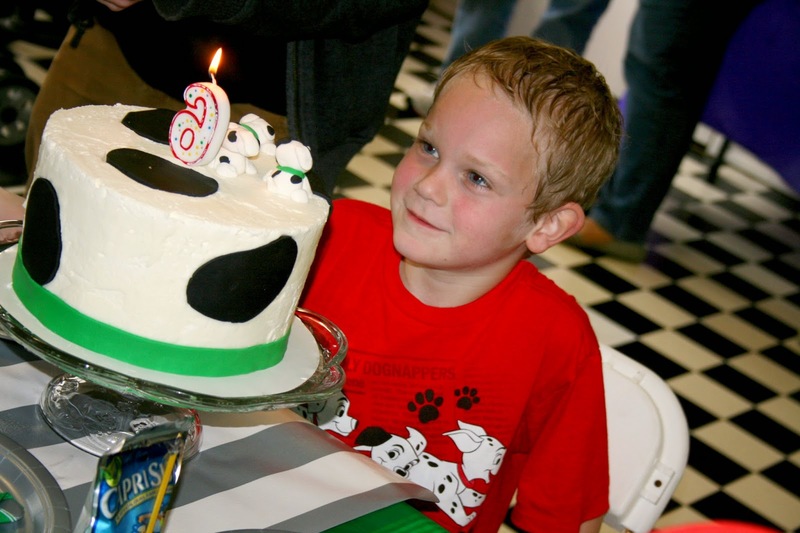 We held his birthday at MoonJumpers, an indoor bounce house party rental place close to home. This way we had entertainment and space at the same time without the mess and craziness of our own home. No cleaning and no clean up! PERFECT! 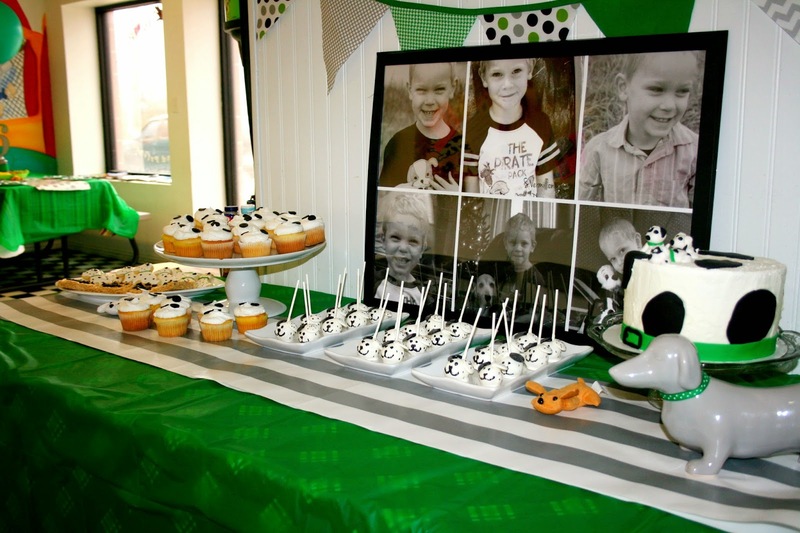 The main dessert table was decorated in green, gray, and white with black and white photos of the birthday boy over the last 6 years serving as the backdrop. 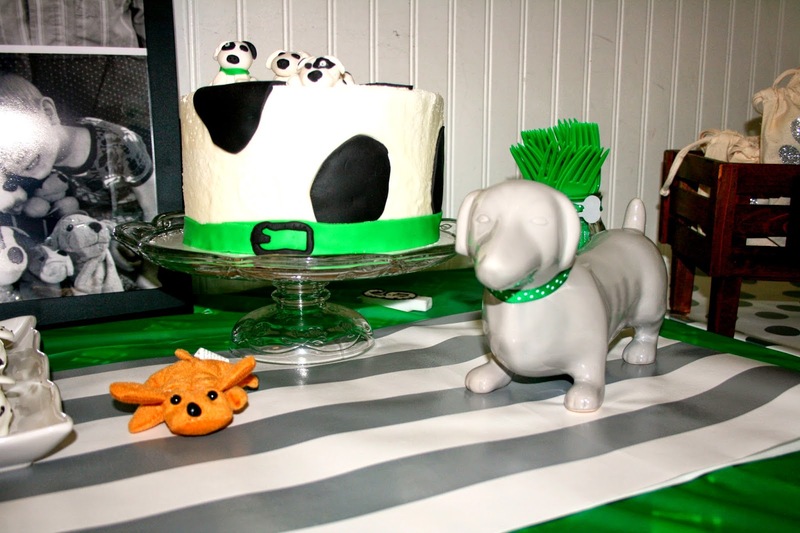 Flanked on either side of the photo was the puppy inspired cake and matching cupcakes while front and center sat the puppy themed cake pops all created by Sweet n Sassy Cakes of Forney. 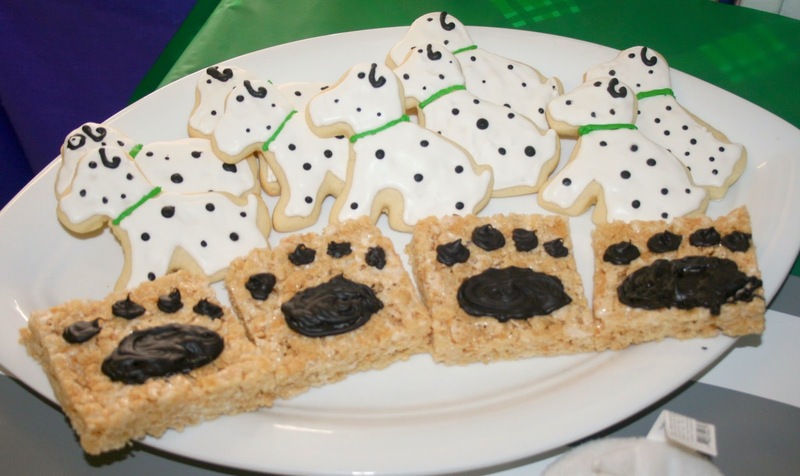 Custom dog shaped cookies, paw print rice crispie treats, green tablecloth, a gray and white striped runner, which was actually wrapping paper, gray and ceramic puppy dog, completed the dessert table set up. 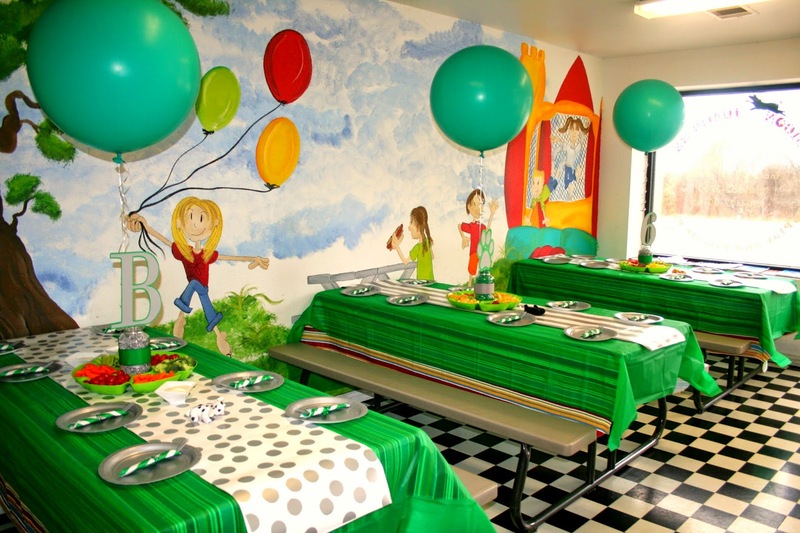 The main dining area was decorated using matching green tablecloths and coordinating polka dot and striped runners made from wrapping paper. 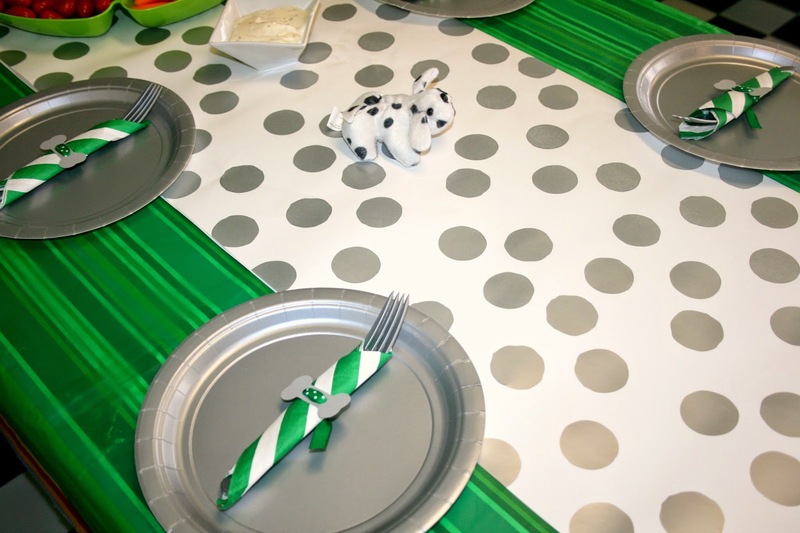 Gray plates with bone wrapped green striped napkins housed the matching forks. 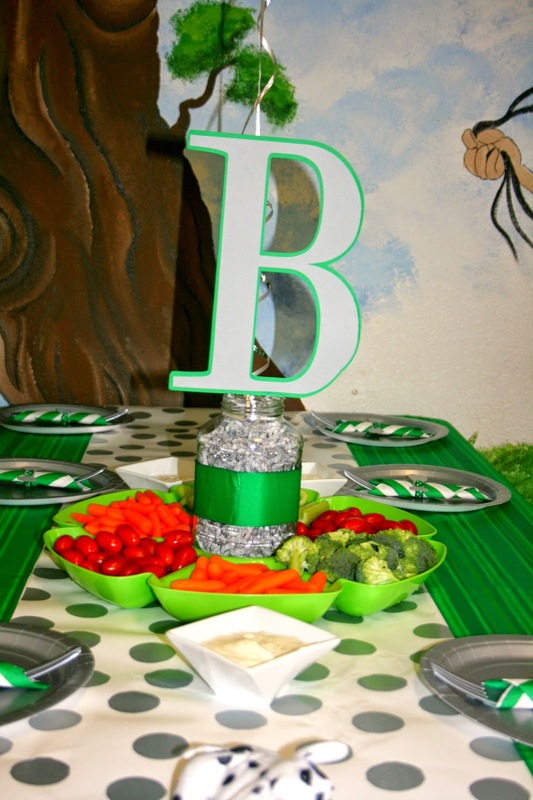 Centerpieces were created by using mason jars wrapped with ribbon and filled with paper shred filler. 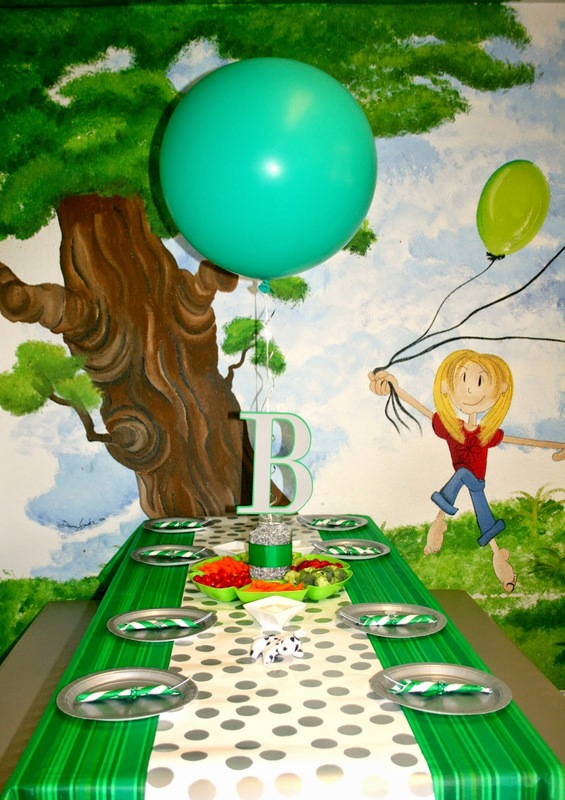 I created over-sized paper letter B, number 6, and paw print to place inside the mason jars and attached giant green balloons from Bloom Designs. 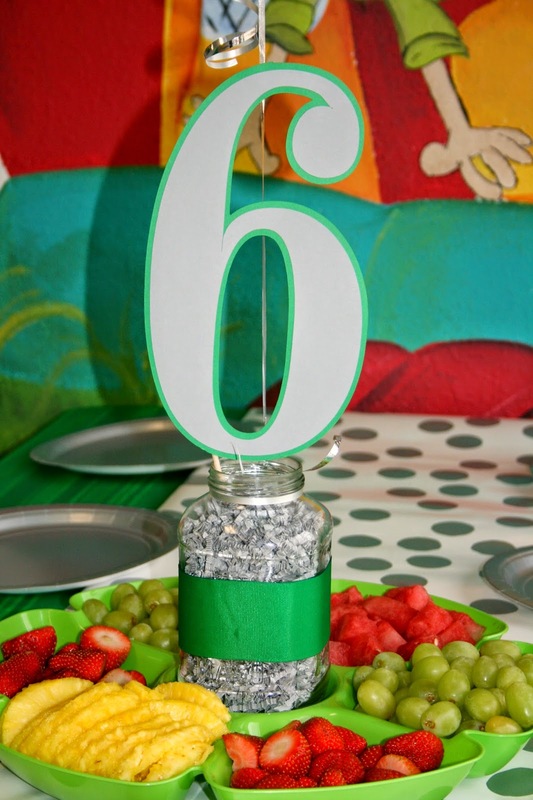 Each jar centerpiece sat inside the center of a fruit, veggie, and/or meat and cheese tray. 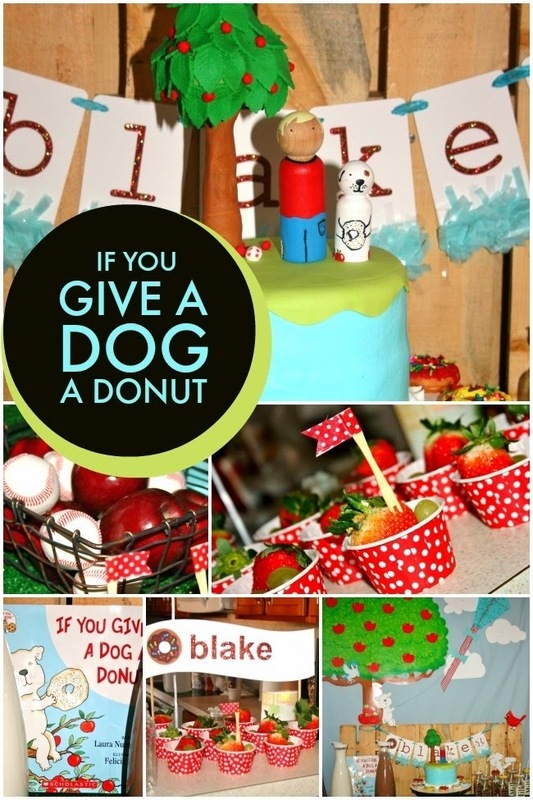 Along with the delicious fruits and veggies, guests munched on Blake's favorite food, Pizza! 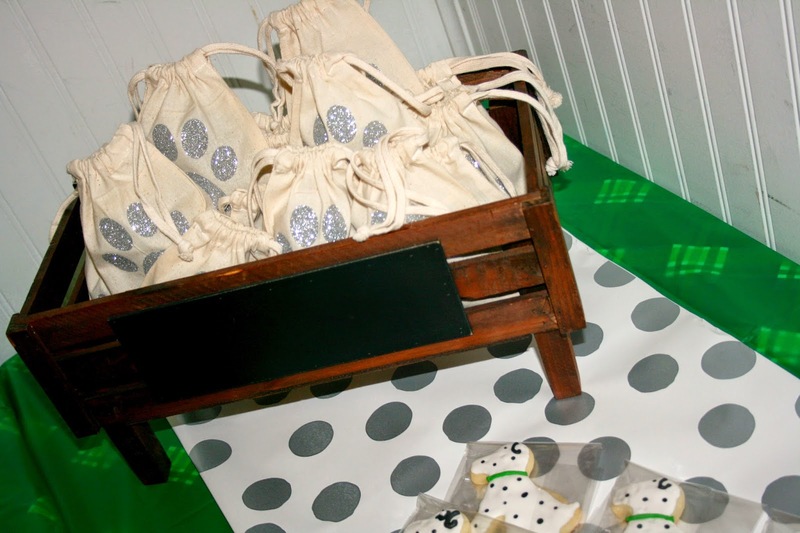 Party favors were lots of fun! 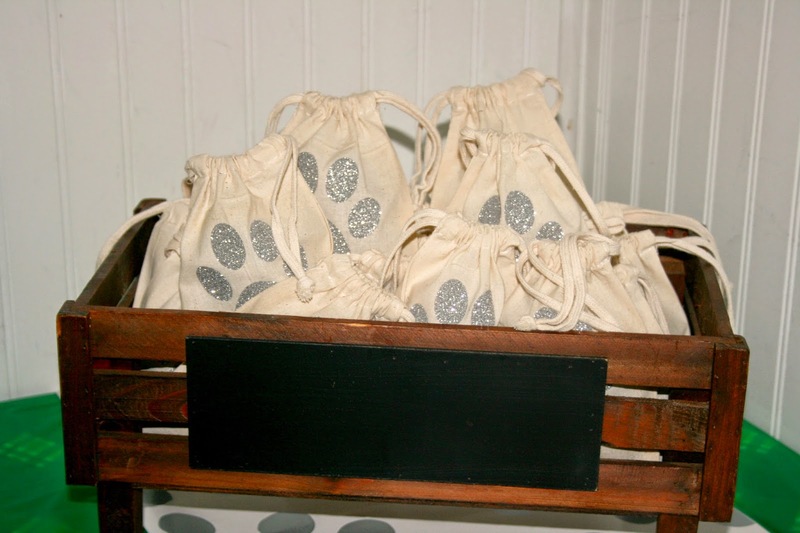 Each guest received their very own mini plush puppy inside a custom decorated glitter paw print bag we created for his party. 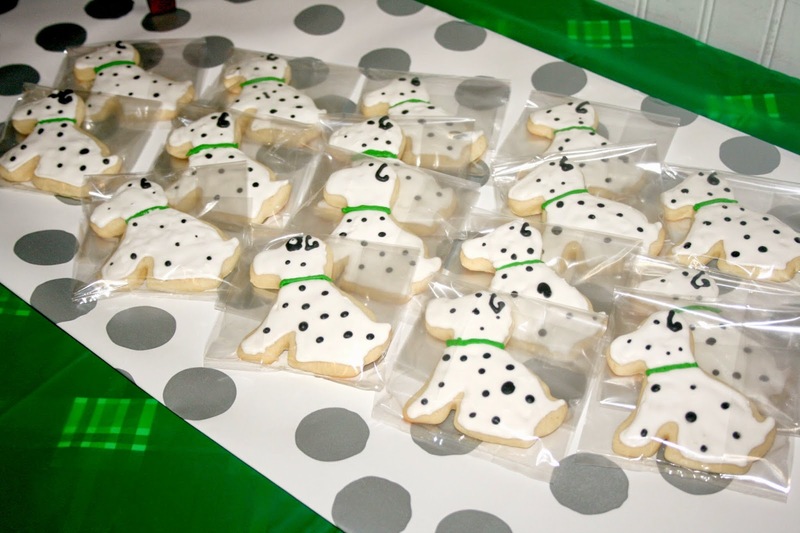 Plus, they got to take home their very own decorated puppy cookie! 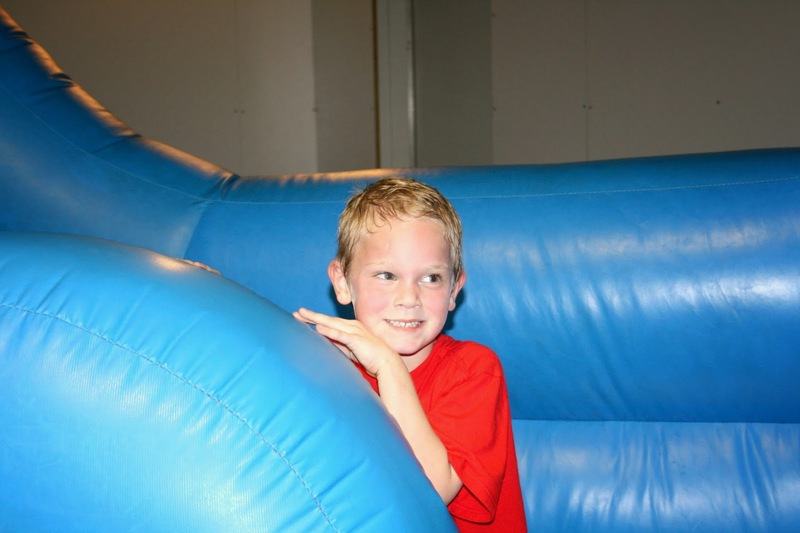 He has a blast bouncing around with his friends and family!!!! 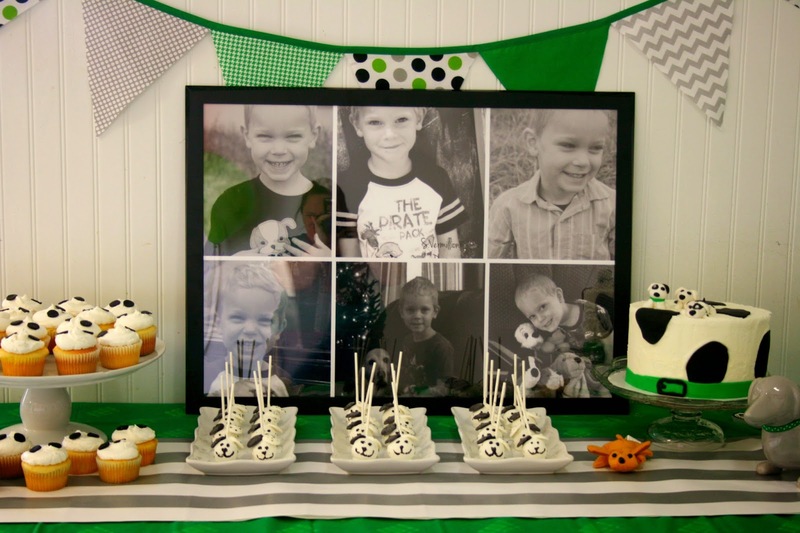 Happy 6th Birthday Blake!!! 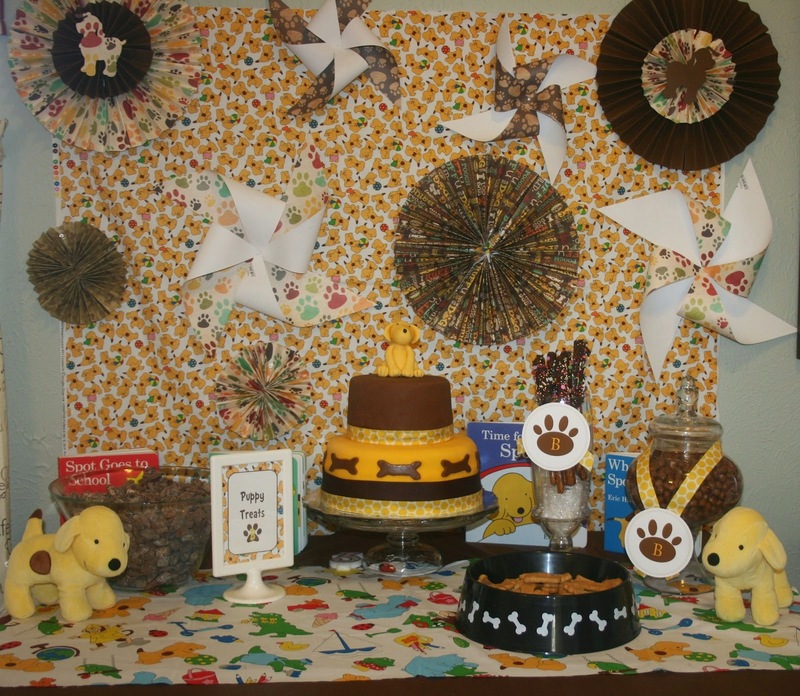 Thank you to all the vendors who helped up create a pup-tastic party for him! !